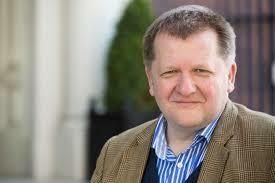 Lecture: "Judging Redmond and Carson"
John Redmond and Edward Carson remain two of the biggest names in modern Irish and British history. At the peak of their careers as senior members of the House of Commons, they were locked together in combat over Home Rule. They have come to epitomize the political and religious conflicts in Ireland; yet, while divided by the union, they had surprisingly much in common. Contemporaries saw them together, and routinely judged them in comparative contexts. But with the partition of Ireland and independence, they have been disconnected, viewed wholly apart, and seen in political contexts scarcely imagined by people at the time. 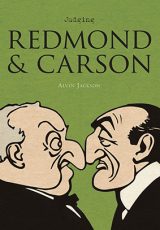 This new volume in the ‘Judging’ series is the first dual and comparative biography of Redmond and Carsonfirst to assess them as contemporaries would have done. It uses both new approaches and much new evidence to shed fresh light on their sometimes fraught private lives, their professional and political achievements, and their stands on violence and war. The result is a strikingly original reassessment of the two men which also sheds much light on the working of the union state as well as on the current condition of the United Kingdom. Professor Jackson’s Judging Redmond and Carson will be available for sale on site through the Hammes Notre Dame Bookstore.